Where is the box located? 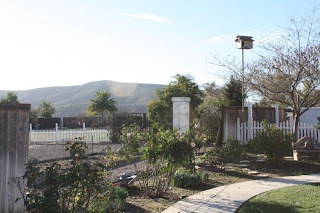 The owl box is located in San Marcos, California in a suburban backyard. There is a tree just outside the opening. This box was made by falconer and arborist Tom Stephan. How high up is the box? The box is on a 15-foot pole. The box has been up for two years, and it took two years before Molly and McGee arrived. No other owls have tried to use the box. 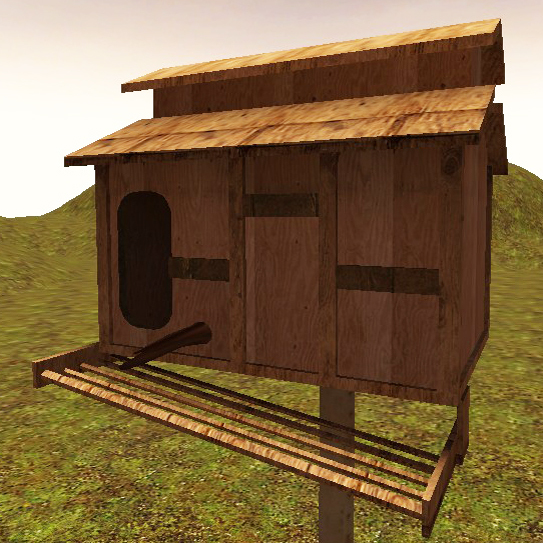 Where can I get an owl box for my yard? 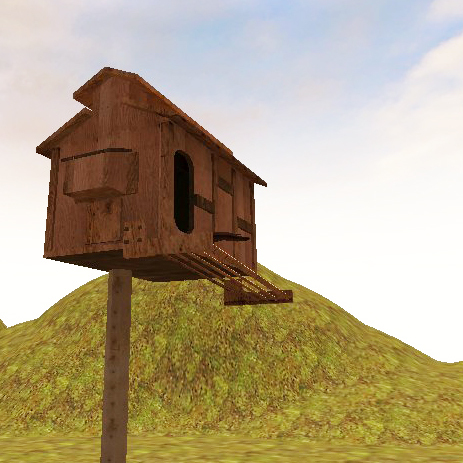 If you google “barn owl nest box”, you can find instructions to build your own or buy a kit. You can also find them for purchase through bird shops and feed stores. Did the owl box have the nest already in it? No. Before February 2010, there were no owls or bedding in this box. What is her nest made out of? The gray, fluffy nesting material you see in the box is feathers and fur Molly has regurgitated, called pellets. She picks apart the pellet and — voila! — bedding! If you use the Ustream chat feature, you’ll notice people saying that Molly has a food item “in the pantry”. This isn’t an official term, but describes Molly’s tendency to eat part of an animal and then set some of it aside for later. She usually leaves it in the near left corner of the box, just out of sight of the camera. Can the owls be heard in the yard? Yes. In fact, it was a neighbor who discovered that Molly and McGee had arrived in the The Owl Box, because he heard them screeching during the night. During the day, there are so many birds singing that they are harder to hear. Can snakes get up to the box? We get this question a lot and want to reassure readers that there aren’t any snakes in this part of California that can climb a 15-foot pole. Does anyone clean the box when they leave? No, this nesting material will be useful for future broods. 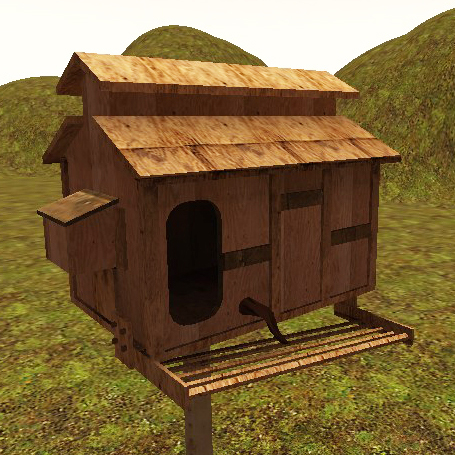 Where do barn owls nest if a box such as this is unavailable? Barn owls prefer dry cavities for their nesting sites and will often use tree hollows and buildings. In fact, in some parts of Germany decorative holes (called “uhlenloch“) allow owls to nest in the attics of homes. Wow! I can hear a lot of noises! What are all the things I hear outside? The microphone on the camera is very sensitive. In addition to hearing the owlets inside the egg, you can also hear dogs from a half-mile away, roosters, killdeer, finches, mocking birds, coyotes, traffic, planes, insects, wind, and, very rarely, the hoot of a Great Horned Owl. Learn about noises you can hear in Molly’s Box and how the cameras work. Thank you so very much for sharing molly’s family with everyone. We learned so much. I am in love with all your owls. What a joy they have given us. God bless you and your family. I have watched and loved these owls from before Max was hatched! I have watched them everyday, and will miss checking on them through out the days and nights, and talking to everyone I have come to know and love on chat.God Bless you Carlos and Donna for sharing this with us and the world. I will never forget this wonderful experience. Thank You! I have never really watched birds before, but I am really addicted now! I teach 5th grade and have projected this for my class who also watch at home. Please keep posted on future events! My daughters and I were just researching owl boxes.We learned from our Ag.Commissioner that a pair eat up to 1000 gophers a year. (sure beats trapping them)Guess I’m going to have to add a critter cam to one of them. Thanks so much for sharing your ‘family’ with us. I just love ‘peeking’ at the owls, knowing I’m not disturbing them. Does the nest face east? I recall someone telling me most birds prefer the opening to face east. Fact or fiction, do you know? Again, bless you for sharing this beautiful experience. Just curious, Is there a light on 24 hours a day shining on Molly inside the box? That seems a bit unnatural. Where does the light come from since there is no external light coming in. I transport for a Wildlife Rescue and we get lots of barn owls and they are my favorite of all the raptors. Thank you for your cam of Molly, McGee and family. During the day time natural light comes in the door but the box is still dark, the camera is adjusted to work in low light. That is the reason that when molly moves forward and the light from the door reflects off her she is over exposed or as they say in photography she is blown out and we lose all the detail of her feathers. At night the cameras are infrared and work in the dark but we lose all the color. Both the day and night cameras have microphones so we have sound around the clock inside the owl box. Hi Carlos: I have been a Molly watcher for both times the Owls nested. I have just one question that has been bugging me? What are the Owlets doing when they flap their beaks to look like they are singing? They are constantly flapping their beaks, and I just want to know what they are really doing, because I don’t hear any chirping sounds, so I don’t think they are really singing. Thank you so much for letting us enjoy the Owls, because I know it’s a lot of work, God Bless You. Thank you for the wonderful view into the life of the owls . . . Is there a second camera, showing the owl box from the outside? From what I see on the social stream, there is, but I can’t find it on the site. Carlos what has happened to the website that constantly showed the owlets….I can not find them. When you say to scroll down to the bottom of the blog to sign up for the email updates, I do not see any way to do that. All I see is the “previous entries” option. After clicking on that a few times and realizing I would be clicking all the way to Feb./Mar., I tried All FAQ’s and found this as a way to subscribe to emails by checking the box below submit comment. Definitely NOT as easy as simply scrolling down to the bottom of the blog. You have to be in the comment section. Just click on comments scroll to the bottom of the comments page. I live in Escondido a pair of barn owls have been using my box going on 3 years. Last night they arrived Jan 10. I trimmed some limbs around the box but I never cleaned it out this year. Should I chance her being inside and try to clean it or just skip this year. Im not sure if she is already inside the box. Any advice will be appreciated. Just leave it. They will kick out the old stuff. It is too late to chance cleaning. We still do not have any owls but it is early. These are so cool, my dad and I have been wanting to build some for a while now!